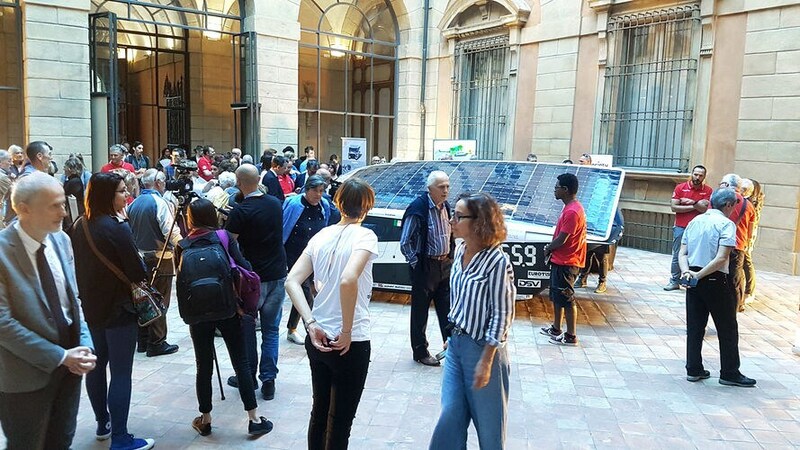 Great success for Emilia 4 at the European Researchers' Night organised by the University of Bologna on Friday 28 September. 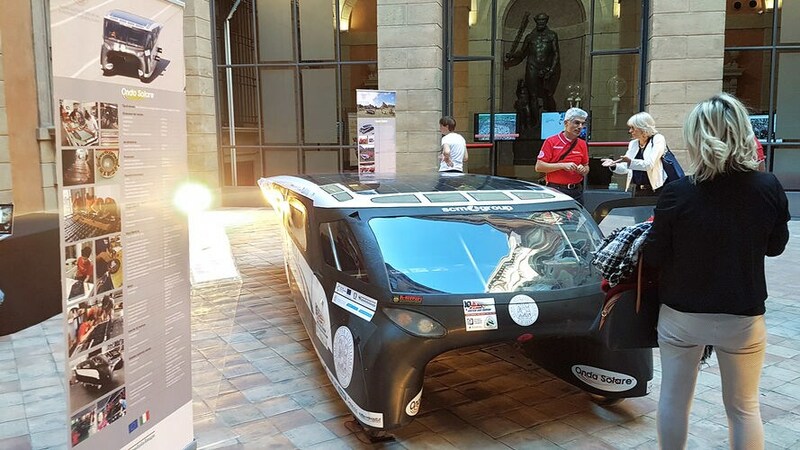 The first solar-powered 4-seater car to be made entirely in Italy – built by the Solar Wave (Onda Solare) Team with the Scm Group and the Group’s Cms Advanced Materials Division – was exhibited in the Palazzo Magnani courtyard, attracting flocks of visitors who were eager to examine first-hand its high-tech features, the very elements that made it the winner in the most competitive solar-industry race in the world: the American Solar Challenge. The project was started within the Univ. 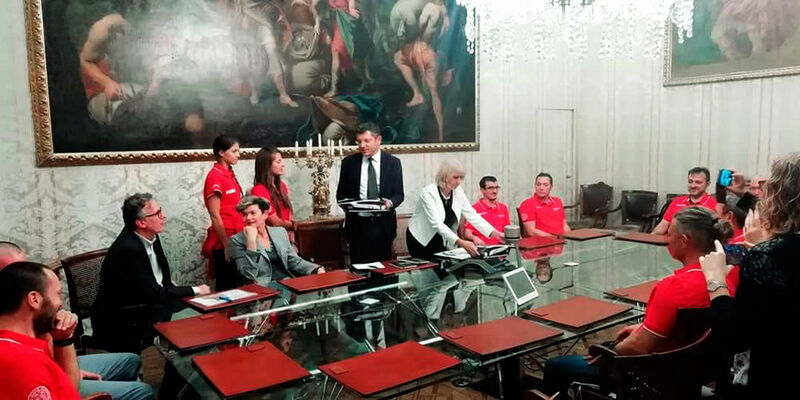 of Bologna, yet its importance was not limited only to its research and development work and the fruitful collaboration between the academic and business worlds, but included also its being a training opportunity. 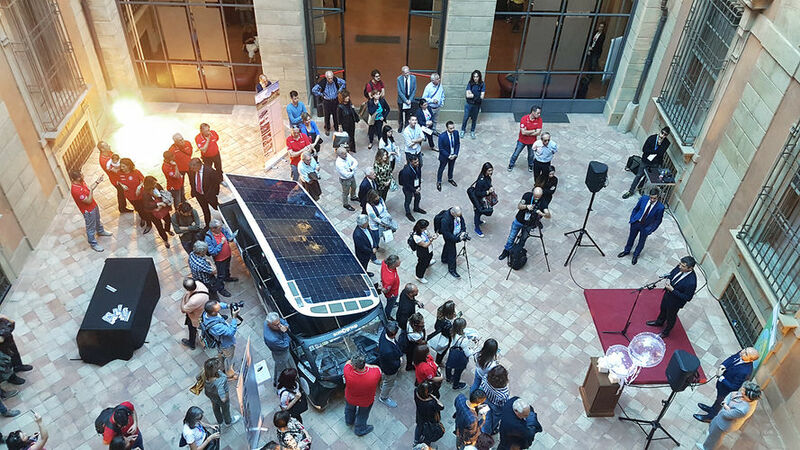 This was underlined by the Rector of the University of Bologna, Francesco Ubertini, who during the event, alongside the Emilia Romagna Regional Commissioner for Production Activities, Palma Costi, welcomed and thanked all members of the Solar Wave Team for their great achievement and for the prestige endowed to the two institutions by their car. 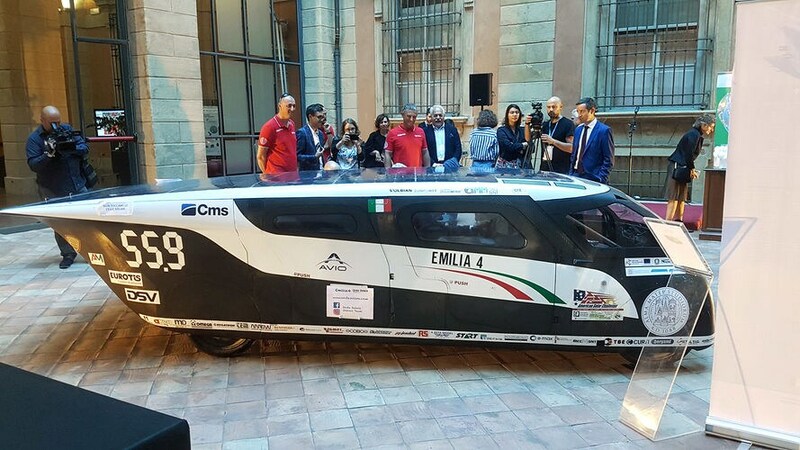 Among the team members, who received as a gesture of thanks a carbon-fibre Emilia 4 model from the University and the Region, was also the Scm Group Innovation Team engineer, Denise Dujmic, who accompanied the project from its beginning as Scm Group representative and took part in the American adventure. Emilia 4 is to continue its tour: its calendar of events in which it will play the starring role is packed. Look ahead to seeing it soon also in Rimini. Stay tuned.